When size does matter! Getting your brand noticed in high traffic zones isn’t always easy. 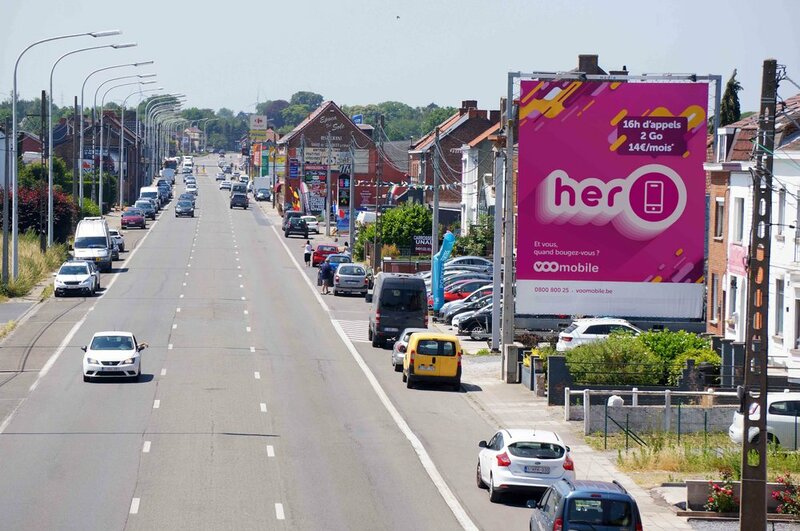 But we make it possible thanks to monumental & mobile billboards that can be positioned in any busy location in Belgium and across Europe, allowing you to have a huge impact on your target. See below for a few of our past successful campaigns! Let’s invade the urban territories with unexpected & surprising wild postering. A great way to reach the 12-35 years old target. It can be outdoor and / or indoor, as you wish. Look at the street invasions below! Blend your communication deep down within the students communities thanks to our special network inside universities and high school. Surprise them and reach out to them with our tailor made postering solutions. See below how our clients speak the same language as their target students! Raise awareness of the younger consumers through our network of premium night-shops (250 POS) where our qualitative, original and unmissable media experiences will increase your sale. Looking for a recipe to boost your market share? Check out the sample of our past successes right below! Because flexibility is part of our DNA, we would be happy to develop a tailor made solution for any project you might have. Do not hesitate to contact us !